Clifford Joseph Harris Jr. (born September 25, 1980 in Bankhead, Atlanta, Georgia), better known by his stage name T.I., and also by his alter ego T.I.P., is a Grammy award winning American rapper, producer, actor, and co-CEO of Grand Hustle Records. In 2001 he released his debut solo album, I'm Serious through Arista Records. Since then he has released 2003's Trap Muzik, 2004's Urban Legend, 2006's King, 2007's T.I. vs. T.I.P, 2008's Paper Trail, and his latest CD No Mercy released December 7, 2010. In March 2009 he was sentenced to one year and one day in prison and ordered to pay a $100,300 fine for felony weapons charges. When released from prison, he will be subject to an audit of his finances, drug counseling, DNA testing, random searches of his property and will not be able to own firearms. As of October 2008, T.I. has had nine Top 10 Billboard Hot 100 singles, with 3 of them reaching number 1 ("My Love" by Justin Timberlake on which T.I. was featured, "Whatever You Like," & "Live Your Life" featuring Rihanna). 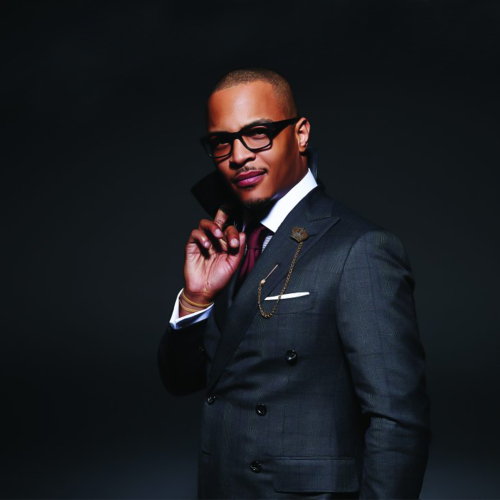 The Love This Life Songfacts reports that Love This Life, the first official single from T.I. 's eighth album, Trouble Man, was released on April 2, 2012 via YouTube. T.I. is from Bankhead, Atlanta, Georgia and was raised by his grandparents. T.I. explained the origin of his nickname Rubber Band Man, saying, "We used to wear rubber bands to signify how much money, how much blow we had." He was nicknamed "Tip" after his paternal great-grandfather. Upon signing with Arista Records subsidiary LaFace Records in 2001, he shortened his name to T.I. out of respect for label mate Q-Tip. T.I. has been in a relationship with former Xscape member Tameka "Tiny" Cottle since 2001. Together, they have two sons: King and Major Harris. He has three other children with ex-girlfriend Lashon Dixon: Domani, Messiah and Deyjah. Overall, T.I. has five children. T.I. was co-executive producer of B.G. 's upcoming album and making beats for artists like Mariah Carey, Cassidy, Rick Ross, Maino, B.o.B., Yung Joc, Young Dro, and himself. He also executive produced the soundtrack to the film Hustle & Flow and released the collection through his record label.